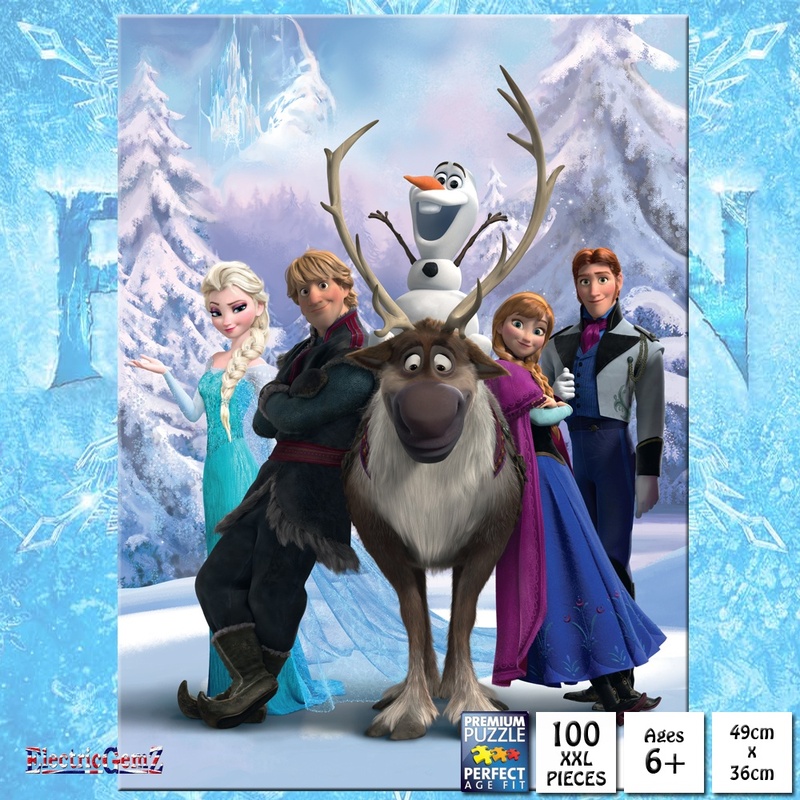 This beautiful jigsaw has all of the main characters from Disney's hit movie, Frozen - with a special additional feature! 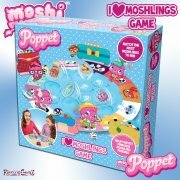 Once complete, you can compare your jigsaw with the picture on the box to spot the 9 differences. 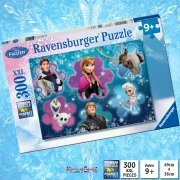 This beautiful jigsaw has all of the main characters from Disney's hit movie, Frozen - with a special additional feature! 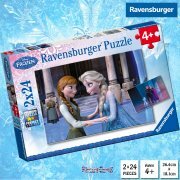 Suitable for ages 6+, this high quality 100 extra-large (XXL) piece jigsaw puzzle from Ravensburger measures 49cm x 36cm when completed and comes in a quality box that should last a lifetime. 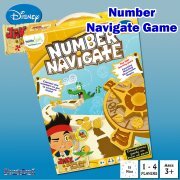 Once complete, you can compare your jigsaw with the picture on the box to spot the 9 differences. 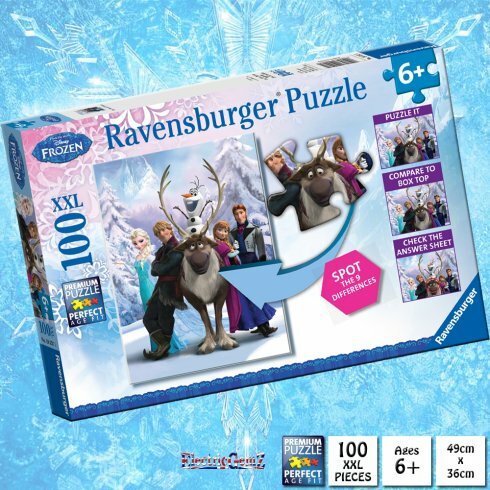 Once complete, you can compare your jigsaw with the picture on the box to spot the 9 differences.